Apple has no current plans to open up its new fingerprint sensing technology to third-party app developers, the company's Senior VP of Worldwide Marketing Phil Schiller has confirmed. 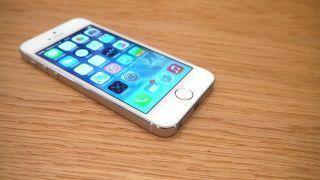 The new Touch ID tech, announced on Tuesday for the new iPhone 5S handset, enables users to unlock the handset and authenticate iTunes purchases by placing a finger on the revamped Home button. The dual functionality has immediately led to speculation about what else the sensor could be used for, but Schiller told AllThingsD Apple has shut down the possibility, for now at least. When pushed on whether devs could get access in the future Schiller declined to comment, potentially leaving the door open for a future roll out. Apple CEO Tim Cook was a little more forthcoming when asked by the same site. He said: "You can probably imagine a lot of [other] uses," but wouldn't be drawn on the company's future plans. The Touch ID tech, which blends right into the new Home button, utilises a sensor that's 170 microns thin, and scans sub-epidermal skin layers using a 500ppi resolution sensor. In order to conserve battery, the sensor is only active when it knows your finger is present and has 360-degree readability so you won't have to reorient your finger every time you wish to use the device. The company has also promised that all of your fingerprint data will be stored locally on the device and will never be uploaded to iCloud or the company's servers. It's surely those security precautions that would prevent Apple opening the Touch ID tech up to its army of iOS developers. Naturally, users would not want that data fed back to app developers alongside email addresses, high scores and more. Still, as Cook intimates, its fun to imagine potential users for the tech in gaming, educational and entertainment based-apps. Lend us some of your thoughts in the comments section below. What is Touch ID? Bring yourself up to speed with Apple's new pass code killer.